A guide to recovering from errant golf shots that typically lead to blow-up holes and higher scores describes the author's research into how many amateur players perform well outside of "double bogey" challenges, sharing specific tips for recovering from shots around sand, shallow water, and other obstacles. 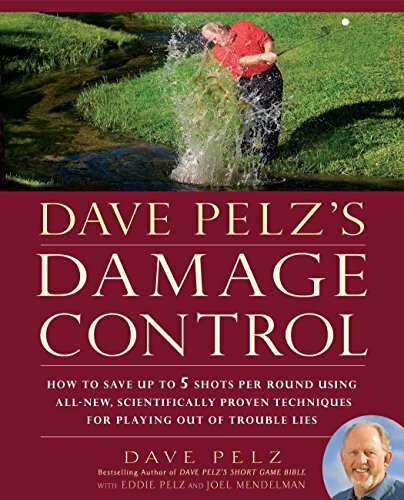 Dave Pelz is the author of two bestselling classics of golf instruction, Dave Pelz’s Short Game Bible and Dave Pelz’s Putting Bible, and is the foremost instructor of putting and the short game in the world. A former research scientist at NASA, he has been analyzing golf and fine-tuning his instruction methods for three decades. He is the founder of the Pelz Golf Institute and the World Putting Championships, the senior Scoring Game Show instructor on the Golf Channel, and technical advisor to Golf Magazine. He lives outside Austin, Texas.